One of the best capitalized insurance groups in the world turned to Xceedance to develop its online distribution system for commercial insurance products. The direct-to-customer platform was unique in the marketplace, as typical online offerings are predominantly lead generation systems that direct customers to agents and brokers. The project required extensive expertise in both property & casualty insurance and a range of online technologies. The goal was to optimize the online customer experience and minimize the number of steps needed to purchase the insurance products. Third-party data aggregators were used to limit the amount of information required directly from customers. Xceedance leveraged its expertise in rating and pricing rules optimization, customer experience management and data analytics to enhance the overall customer experience. Innovative customer service tools were built, allowing the client’s help desk to guide customers through the purchase path. The website is scalable and can be enhanced to include multiple insurance products and carriers. Since all the interactions occur via web service APIs, the system can be integrated with any rating and pricing engine, underwriting management engine, claims system or third-party data aggregator. 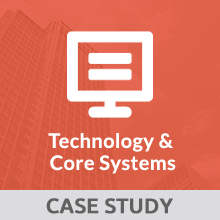 With most of the client’s team based offshore, the initial product was built with minimal up-front cost. For the majority of cases, quotes and policies were written online with no help required from the customer service team. Those policies were sold online without any help desk support to policyholders, demonstrating the superior online purchasing experience. Xceedance also used the experience of actual shoppers interacting with the online portal to implement continuous optimization, making the process more efficient and responsive based on dynamic usage experience.